A note rate refers to the rate of interest on a promissory note for a mortgage loan. The note rate is the stated rate of interest on a promissory note for a mortgage loan used to buy a house. This rate is the determining factor on the monthly interest payment that must be paid by homeowners over the life of a loan. In a fixed-rate mortgage, the note rate will stay the same for the life of the loan, while it will change over time in an adjustable rate mortgage. It is important to understand that this rate, also known as the nominal rate, is different than the annual percentage rate, or APR, which represents the rate of interest when excess financing costs are considered. Mortgages are used by a large percentage of home buyers who don't have the necessary capital to come up with the complete cost of a house. A mortgage is a loan given to home buyers by mortgage lenders to purchase a home. The home buyer generally makes a small down payment and then pays off the rest of the loan in regular installments. 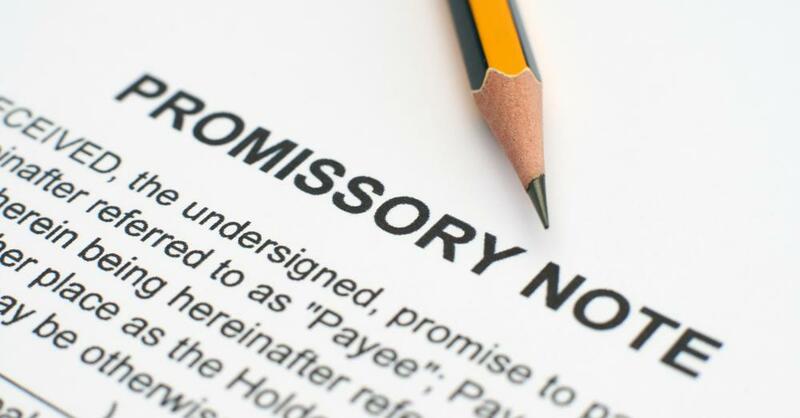 In return for the risk taken on by giving the loan, the lender receives interest on the loan, and the rate of interest stated on the loan's promissory note is known as the note rate. For example, imagine that a lender gives a borrower a loan of $100,000 US Dollars (USD) to purchase a home. The note rate offered to the borrower is 5 percent. That means that each month, the borrower must pay interest of $5,000 USD, which is 5 percent of $100,000 USD. There are different types of mortgages available to home buyers, depending on their financial circumstances and their borrowing needs. In a fixed-rate mortgage, the note rate will stay the same for the entire term of the loan. Other borrowers may prefer an adjustable rate mortgage, which allows for lower initial payments in the opening stages of the loan. With an ARM, the nominal rate is the initial rate charged before it adjusts. Many people will look at the annual percentage rate, or APR, charged on a loan instead of the note rate when choosing a mortgage. This is because the APR, which includes the excess costs charged by lenders, is often a more accurate indicator of the cost of a mortgage loan. The APR is also skewed somewhat by the fact that is calculated over the entirety of the loan, which doesn't take into account the fact that many borrowers refinance their loans at some point. What Is Nominal Rate of Return? What is a Secured Note? What is a Demand Note?